Military confusion has returned to Crimea, where Russian federal officials are making serious allegations against the Ukrainian government, claiming that Ukrainian intelligence agents infiltrated the border in an attempt to stage a series of terrorist attacks on Russian-occupied soil. Details  are still hazy about what exactly happened, but Russian officials say there were at least two armed incursions: one on the night of Sunday, August 7, and another the next night. Curiously, Russian officials waited almost three days before going public with this story. 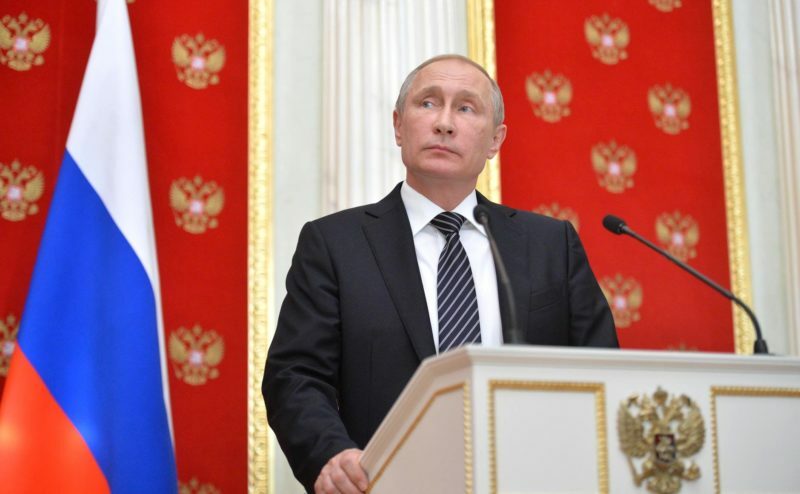 There were earlier unconfirmed reports, however, including an apparent all-points bulletin issued by the Russian Interior Ministry in Crimea. The document was leaked to the Internet within a day, and has been circulating  on social media since at least August 8. (Though the hair color of one of the suspects is reportedly differently in different versions of the text.) While the APB’s authenticity is unconfirmed, its content does match much of what Russian officials have reported today. 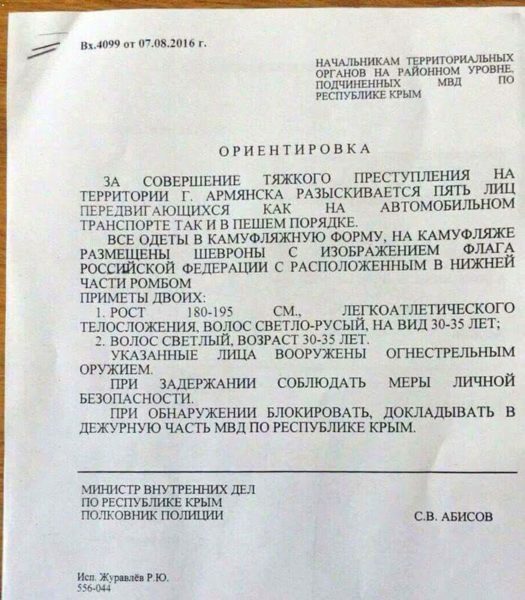 On August 9, the popular pro-Kremlin blogger Boris Rozhin, better known as “Colonel Cassad” (whom RuNet Echo profiled  in July 2014), shared  the document found above, summarizing his grasp of what happened at the Crimean border on August 7. For more about competing narratives of this incident, see Aric Toler's story  at the Atlantic Council's Digital Forensic Lab.